With the increasing usage of pulse flour as an essential ingredient of functional food, the global pulse flour market is witnessing a substantial surge in its size and valuation. Although the future of this market looks thriving, the limited applicability of pulse flour may hamper its progress in the years to come. Various types of pulse flour, especially made of pea, lentils, chickpea, and several other legumes, are found commercially across the world. The demand for chickpea flour has been higher than other types of pulse flour. Thanks to presence of various nutritional elements, such as sodium, selenium, potassium, iron, and magnesium, the trend is likely to continue in the years to come. Apart from this, the increasing awareness regarding the benefits of chickpea flour consumption, such as controlling diabetes, obesity, coronary heart diseases, and cancer, is also expected to fuel its demand over the forthcoming years. Majorly, pulse flour finds high demand in the food and beverages, dairy, and the bakery and snacks industries. Among these, the bakery and snacks industry has emerged as the key contributor to the demand for pulse floor across the world. Researchers anticipate this trend to remain so over the next few years. The pulse flour market can be analyzed with respect to application, product, and geographical reach. The increasing awareness among consumers about the importance of protein-rich diet for good health in the long run is expected to slow down consumption of wheat flour and rice, thereby positively influencing the growth of the pulse flour market. The increasing vegetarian population across the world is augmenting the demand for pulse flours. The gluten-free nature of pulse flour and its ability to enhance the texture and shelf-life of food is likely to boost the market’s growth. The consumption of gluten-free foods is on the rise to boost innate immune response and for the treatment of joint pain. Extensive research by product manufacturers over the past few years for newer applications of pulse flour such as animal feed and fortified foods is further augmenting the market’s growth. Product manufacturers have also been engaged in pulse refining techniques of new pulse varieties. This is expected to further bolster the market’s growth. Bakery and snacks account for a major share of the global pulse flour market. This is because common pulses when combined with flour for making bread is attracting consumers for a new taste and enhanced nutritional value of the end product. Pulse flour easily substitutes other flours in bread without altering the taste much, which is expected to drive the demand for this commodity in the future. Lentil pulse flour is expected to account for a substantial revenue to the overall market in the coming years. This is because due several foodstuffs are reformulated with lentil flour to increase their protein content. Europe stood as the largest market for pulse flour in the recent past. However, North America and Asia Pacific are expected to emerge as major markets for pulse flour. The high consumption of beverages such as energy and sports drink in these regions that consist pulse flour is likely to augment the demand for pulse flour for beverage production. The Middle East and Africa is expected to emerge as a significant market for pulse flour. Pulse flour is extensively used in hummus, soups, tajines, and curries. In addition, it is used in frozen prepared meat, processed meat, and salads to magnify the nutritional value of food. 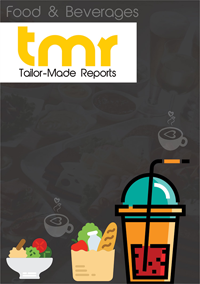 The increasing population combined with the developing food service industry is expected to have a positive impact on the growth of the pulse flour market in this region. Moreover, the growing hospitality industry in the region, particularly in Egypt, Israel, Morocco, and UAE is expected to drive the demand for processed pulses for new recipes. Some of the key vendors that operate in the global pulse flour market include Ingredion Incorporated, Best Cooking Pulses Inc., Harvest Innovations, Diefenbaker Seed Pocessors, Ganesh Grains Ltd., ADM, AGT Food & Ingredients, CanMar Grain Products, and Parakh Agro Industries Ltd.
Key market players are focused on new product development and partnerships for strengthening their position in this market.